I was born and raised in Long Beach, California. I graduated from Long Beach Polytechnic High School, a school known for famous alumni Snoop Dogg and Cameron Diaz. I later went on to receive my BA in English from UCLA. I received my Ph. 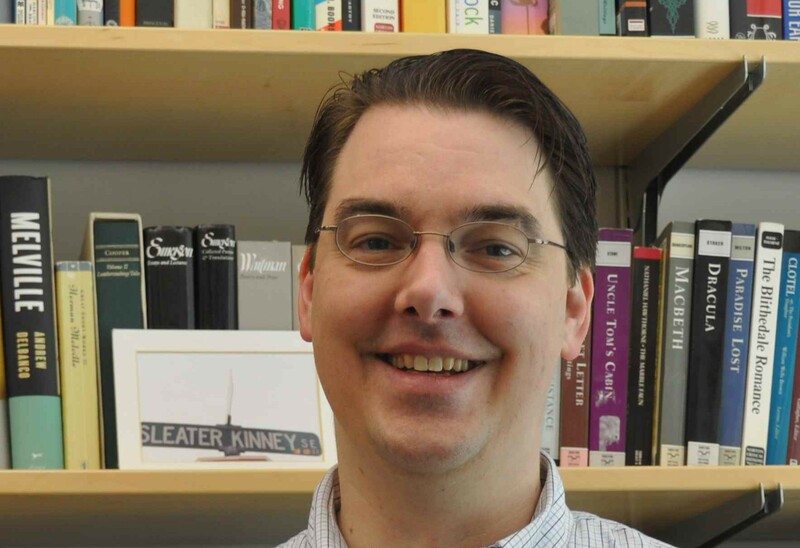 D. in English (American Studies) from the University of Utah in 2002 and began working in BYU’s department of Humanities, Classics, and Comparative Literature that same year. I’m not much of a football fan, so crosstown rivalries like the one between the U and the Y don’t make much impact on me. I am an avid reader and am always looking for new books to read. I especially enjoy horror novels and police procedurals. I am a big fan of hard rock and heavy metal. I attend rock shows in Salt Lake City frequently and can often be seen at shows with my camera, taking pictures of the performances. I have been married for over 15 years; my wife, Cyndi, and I have a teen-aged son named Nathanael.